Often, the beautiful families who hire me ask me to also weave together an announcement film so that friends and family can share in the sights and sounds of the day they welcomed their sweet new baby Earthside. 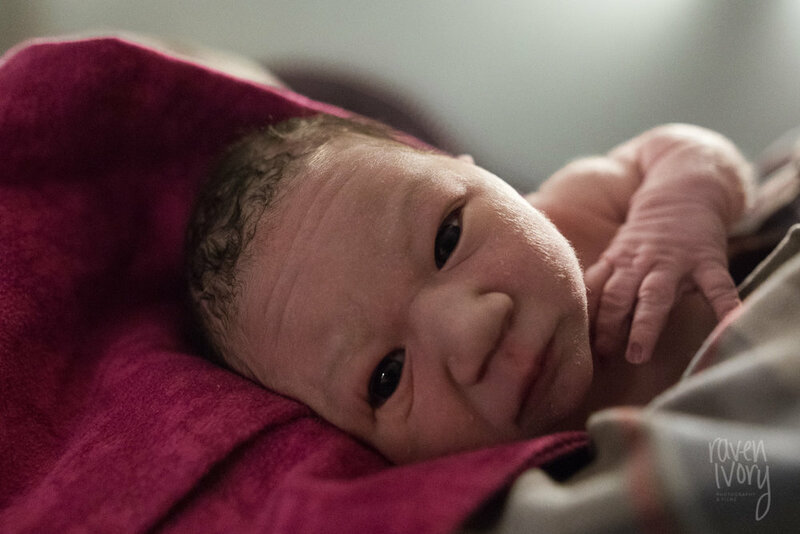 raven ivory | photography & films documents births in Minneapolis and the surrounding Twin Cities and crafts unique birth announcements to let loved ones know baby has arrived. While it can be beautiful and ideal, It's not always possible or practical to have older children attend the birth of their younger sibling; however knowing how much I treasure the first memories I have of my baby sister (who was born when I was 3), love when I am invited to include these moments for the families whose births I document. raven ivory | photography & films is a Birth & Family documentary style photographer serving the Twin Cities. And because big brother was not able to be present while this new babe was born, I offered to come back early the next morning to document these siblings meeting for the first time. Click here to see a bit from that session. raven ivory | photography & films is a Minneapolis Birth Photographer and Videographer, artfully crafting heirloom stories through photos and films. When this gorgeous family hired me to document their birth story, I was so excited to document the love between them. The way they looked at each other and interacted in our first meeting, I knew his support for her would create beautiful footage. Then dad was diagnosed with Influenza A and was quarantined to the basement. But two days later, this mama called to say she was in labor and asked if I'd meet her at Health Foundations Birth Center. She headed in with her family, while dad stayed home and I met them at the Center, but shortly after arriving, her midwife sent her to go walking and check back in as things got more intense. So off to adventure around St. Paul. To Como Park Zoo first, and wandered around their gardens where, accompanied by her daughter, her own mama, and her sister, Amanda took in the sights, and took pauses to let waves of contractions wash over her. After fueling up at Cafe Latte, we drove back to the birth center at which point the midwife and her staff began readying the birth room. And not too much time later, big sister sat in the tub with her mom and caught her new brother as he was born into the water -- all while dad watched through a video call. Here's a peek into their story and how they announced the birth of their baby. 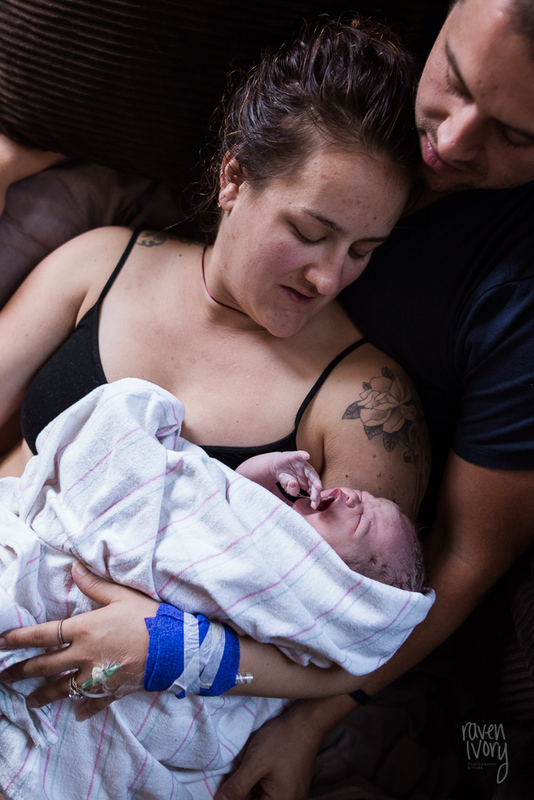 Raven Ivory documents births and families to artfully tell the stories in ways that validate strength, show support, bring attention to easily overlooked beauty. Birth Photographer & Videographer serving Minneapolis, St. Paul and Twin Cities metro. One of the innumerable reasons I love being a birth photographer is that there are no two births that are the same. This was a first for me, a baby born in the family's truck on the way to Health Foundations Birth Center in St. Paul. Here is their baby announcement. Welcome James Francis. The world is a so much brighter with you here. Also, your parents are badasses. Twin Cities Birth Photographer & Videographer documenting births in Minneapolis, St. Paul and the Twin Cities Metro. How the Blanchard-Hinz family spent the first day of 2018. Have a story that needs announcing soon? I'd love to meet up for a cup of tea and chat about your hopes for your big day. Let's connect. This is the birth announcement for the Blanchard-Hinz family and their newest addition. I attended their beautiful planned home birth to document all the love this sweet babe was born into. raven ivory offers birth birth photography and films in the Twin Cities, Minneapolis, St. Paul. Last fall, Dominick, the oldest of 4 kids, was busy playing football. It's what he did when he wasn't busy with wrestling season. But then he wasn't feeling the greatest. Doctors thought it was mono for a while, but after he wasn't getting better, more tests were run. Dominick was soon diagnosed with T cell A.L.L. (acute lymphoblastic leukemia). The great news is that Dominick is responding to treatment. Because leukemia is in your blood they treat it very aggressively with chemo therapy and try to get remission after 30 days. Dominick made it at 90 days. They determine this with bone marrow biopsies. They, then, continue weekly chemos (sometimes multiple chemos) for 9 mths to a year. This includes intrathecal chemo (spinal taps and spinal injections) to treat his brain and spinal fluid, even though he was lucky and currently does not have the cancer there, they still treat it. After the first year of front-line, he then starts long term maintenance. This is 2 1/2 years of monthly IV and IT chemo therapy and daily pill chemo at home. Dominick's treatment end date is scheduled for 1-12-2020. Dominick is considered intermediate risk due to his higher age and slow remission. His team has told us a cure rate of 80% and a relapse rate of 20%. His mom, Elizabeth said it best when she stated, "Those are good odds! However, think about having a birthday party for your child and 9 friends, knowing that 2 of those children won't be attending for the next years birthday party......"
So please, watch this video and keep the Albrecht family -- especially Dominick in your thoughts. If you feel moved to do so, and are able, a donation to St. Baldrick's Foundation is an incredible way to lend support. Elizabeth taught me that, "Our government only allocates 4% of cancer funds/research to pediatric cancers. This is why most children are taking chemotherapy drugs meant for adults. Many children die of complications from treatment, not the cancer itself. We need different therapies made for pediatric patients!" This is an additionally tragic aspect of childhood cancer that I had no idea about, and makes my hands feel much less tied when diagnoses like Dominick's are given. A story of a beautiful birth at Willow Birth Center. Sometimes, I am hired for families who know that this is their last pregnancy. This is their last time through this wild, intense, beautiful journey. And what a privilege that is. 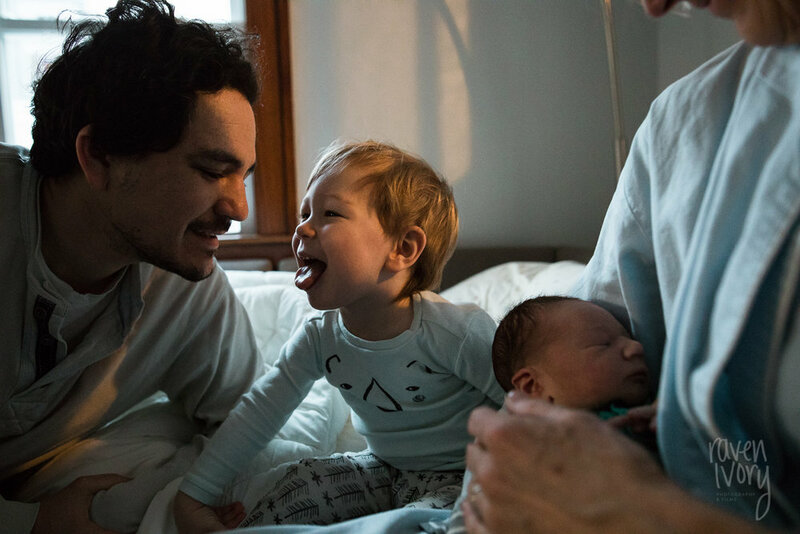 Especially, for families who haven't had professional birth photography before, they know how much of the experience of birth, for the birthing person, is internal. 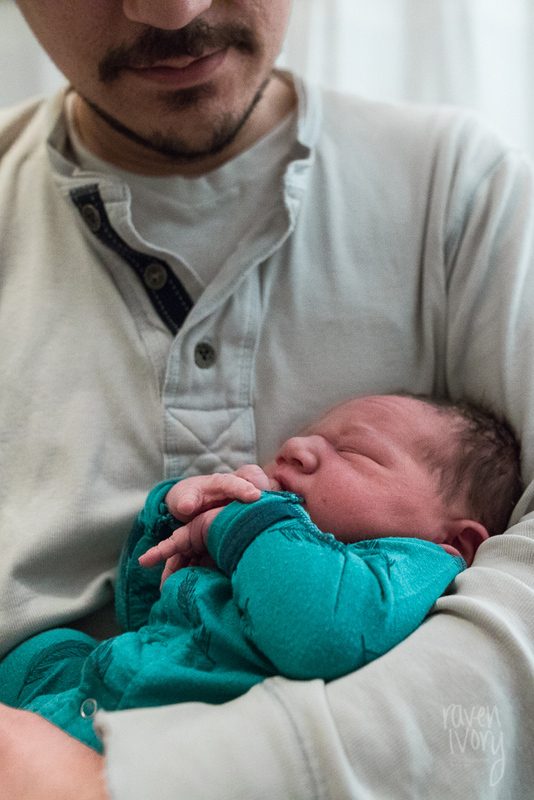 They know that they enter a birth blur and often have very little recollection from active labor to when baby is placed atop their chest -- and sometimes for a bit after that. Seeing their birth journey replayed for them shows so many new aspects and interactions that they hadn't noticed while their mind and body worked so tirelessly to bring forth new life. They are able to reminisce about the words they spoke upon meeting their baby, how that wee babe's cries sounded on day one, all the sights, and sounds, and movements, that are so easily lost to the whirlwind of a new baby. This beautiful family birthed their third child with the midwives at Willow Birth Center, supported by doula, Landon, of Have Heart Doula Services -- an incredible family surrounded by exceptional care givers. Twenty-eight years ago, I was woken up by a midwife who took my hand and brought me into my parents' bedroom, where my mom lay reclined on my father, working hard to bring my new sibling Earthside. At three years old, I stood by my mother's side, caressing her cheek and wiping her brow, telling her that she could do it and that everything was going to be alright. And I watched the incredible woman before me bring forth the life she created in her belly. They asked if I wanted to cut the cord, and I did, with the midwives help (which I resented a little bit, 'cause I was a big girl). These memories are some of my earliest, most vivid, and certainly most treasured. And then, late last year, that same sister, no longer tiny and squishy, but now all grown up, and equally beautiful announced her pregnancy and asked me to document the birth day of this baby. So a little over a month ago, I had the incredible honor to stand again at the side of a woman I cherish and reassure her that she could do this and that all would be okay. 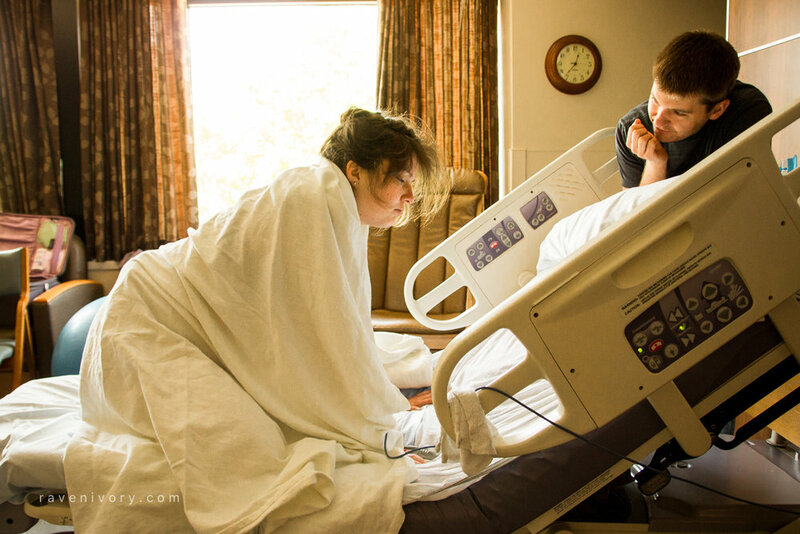 My little sister, reclining on her husband, brought forth new life -- with my own mother, as midwife, there to catch baby -- and I was there to capture it all. A woman birthing, now catching. A baby born, now birthing. And me, standing near, holding witness to the immense strength, the incredible love, the loops that life draws. So, the Breitungs have some news. 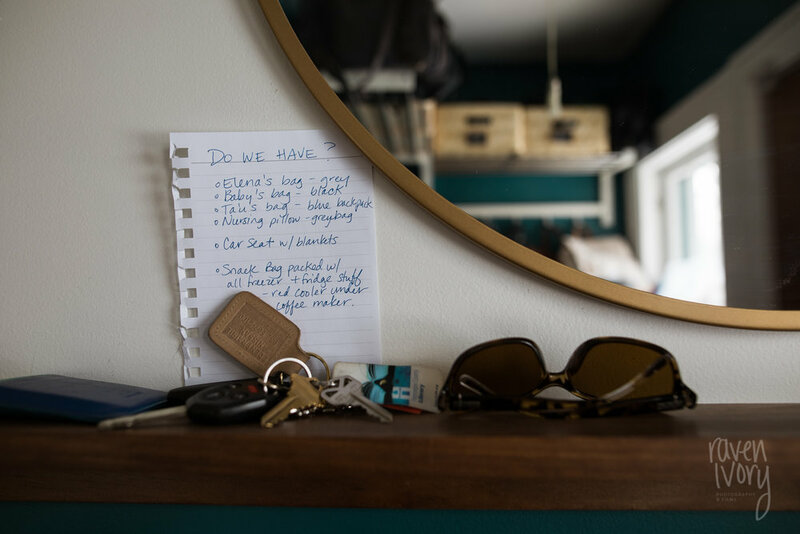 They asked me document a few days of them together and the result is a story we'd like to share with you on a few different days during a year. Have a story you'd like me to document? Let's chat. raven ivory | photography & films is a birth and family photographer and filmmaker based in St. Paul, MN. 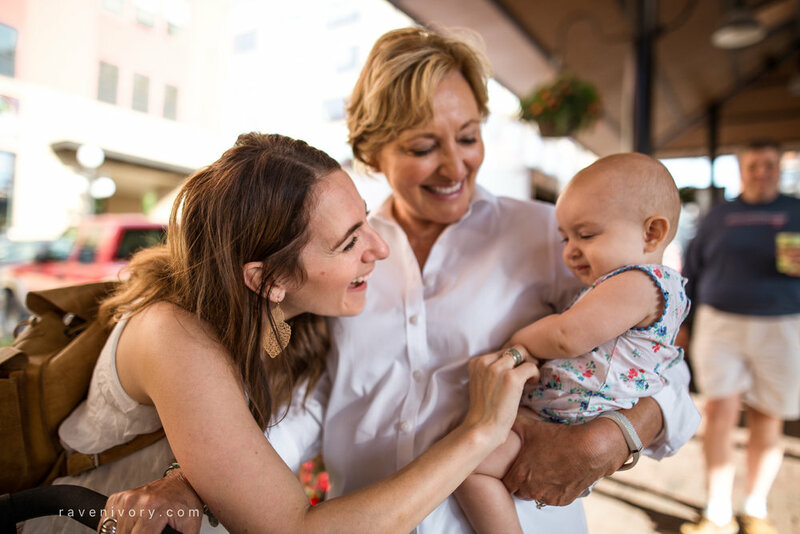 I recently got to spend part of a day with three generations of a beautiful family as they typically do on Saturday mornings in the spring: browsing the St. Paul Farmers' Market and then strolling down to the river. I love being a storytelling photographer to capture the real moments, the everyday beautiful moments, the catches of time that preserve a bit of what life is like for your family today. Here's a sneak peek of our time together. St. Paul Storytelling Photographer, St. Paul Farmers Market. Most people announce baby with just a picture. For this family, I created a mini-video for them to share with family and friends announcing the arrival of their newest little one. This beautiful family met their babe after a long labor. Strong, gorgeous, and so so so much love. Birth stories like this are why I love being a Twin Cities birth photographer. Twin Cities Birth Photographer. Woodwinds Hospital, Woodbury, MN. Birth, by definition, is simple and inclusive. If you want to see a video of the incredible birth story from my image featured on Birth Becomes Her, this link will take you there. And some additional amazing images featured here. Our children grow so quickly. Their little bodies grow faster than the piles of laundry, their tiny voices chatter with such frequency that we don't always hear the preciousness of their words. This is what video helps to capture, the movements, the sounds, the moments. This sweet family welcomed a new baby not too many weeks ago and asked me to come document what a day in their life feels like. Waking up, tub time, games and stories, I had such a wonderful day capturing the moments between these beautiful people. After so many failed attempts, I baked a damn fine loaf of bread. Two actually -- using such incredible eggs that this "white bread" sourdough turned yellow. This girl glows. Even her drool.